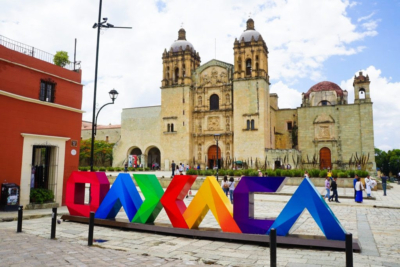 The McAllen Chamber of Commerce is planning a trip to Oaxaca, where a McAllen delegation, headed by Mayor Jim Darling, will meet with Oaxaca’s city and state officials to formalize a sister city relationship. Among the activities planned for this trip are meetings with businesses and producers from Oaxaca and touring some of Oaxaca’s surroundings and historical locations. The delegation will also be part of a Calenda Parade and enjoying Oaxaca’s cuisine. Feb. 21 – Depart in the afternoon from McAllen to Mexico and from Mexico to Oaxaca. Arrival is scheduled for around 10:45 p.m.
Feb. 25 – Depart to McAllen with arrival around 2 p.m. Flight and hotel costs for one person traveling are $1,200. An additional person sharing the same room will pay $400 approximately for flight fees. Additional itinerary plans will soon follow.